S is for Sixty degree wedge. 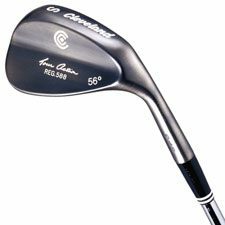 More and more golfers coming on a Thailand golf vacation carry a 60 degree or lob wedge. However, I feel the sixty degree wedge in Thailand can actually add strokes to most people on a golf vacation. The tropical Thailand weather already lends itself to damp playing conditions, and the greens on the best courses such as Alpine Golf Club in Bangkok or the new Black Mountain Golf Club in Hua Hin hold the ball amazingly well, thus negating some of the normal lob wedge advantages. Of course back home before staring any golf trip, most golfers watch tournaments on TV and when they see Phil Mickelson hit a spectacular flop shot with his sixty degree club, they try to replicate the shot when on the course themselves. Then, after some initial success, golfers start to use the 60 degree wedge for more and more shots around the greens. In order to make the lob wedge work, you must first understand when and where to use the lob wedge as well as what alternative shots exist. Unless you practice everyday, then almost without exception here in Thailand a normal chip shot with a 5-6 foot putt has a lot better probability of saving par then a lob wedge shot and tap in, even when you have very little green to work with and/or when you need to get the ball up in the air high and stop it very quickly. 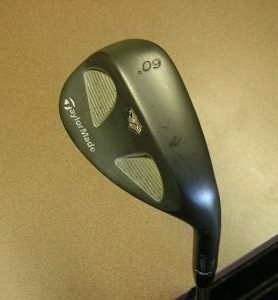 On occasions maybe from in deep rough like that found off the greens at Thai Country Club a lob wedge could work. But I believe on all Thailand golf courses a high shot equals high risk, and a low shot lowers risk and ultimately leads to lower scores. When golfing in Thailand, the loft and bounce of a normal sand or gap wedge is more than enough to get the ball high in the air. Hitting a lob shot requires just too much finesse and is beyond the ability of practically all but scratch golfers holidaying in Thailand. Even then, it’s a high risk shot that requires precision to pull it off successfully. A lob wedge can be a good weapon if you practice with it and play in dry conditions with tight cut pins that require it, but it can also be your worst enemy. So think twice when golfing in Thailand before attempting a Phil Mickelson flop shot. Or better yet, leave your ego and sixty degree wedge at home, play smart, and enjoy saving par after par throughout your Thailand golf holiday with only your sand and gap wedges!